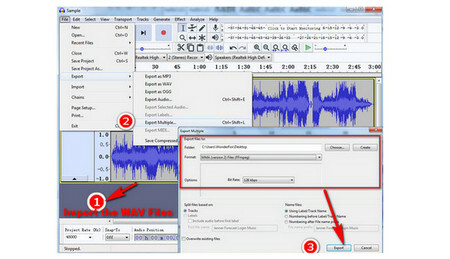 In this article, I will introduce 3 simple methods for solving WAV file to WMA conversion issue. At first, you can download the most workable WAV to WMA converter to start your work! Why Do We Convert WAV to WMA? Just like every coin has two sides, it is generally known that WAV file possesses great audio quality, but it also has a larger file size than normal audio formats. Therefore, many people wonder how to compress WAV file or convert WAV to other lossy audio formats like MP3 for saving the storage space. Actually, we have to admit that it is hard to tell the difference between lossless audio and lossy audio without the good music system and equipment. Compared with MP3, WMA file has smaller file size but better audio quality. Therefore, it can be regarded as a good choice to convert WAV to WMA for saving storage space and enjoy good audio quality as well. 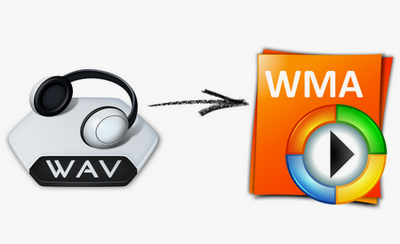 Easily convert .wav to .wma as well as 200+ formats and devices. 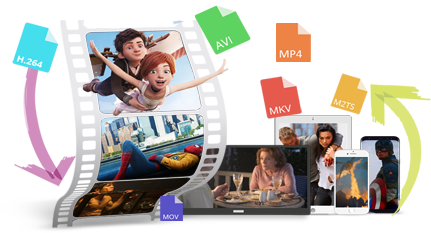 Simply trim, cut and crop audio and video files. Free download music and video from YouTube, Facebook, etc. Here takes a reliable and functional WAV converter – Free HD Video Converter Factory as an example to show you how to convert .wav to .wma. This program also enables to convert WAV to MP3, M4A, etc. and free download songs from YouTube, Facebook and many other online video and audio hosting sites as well. (1) Click “Add Files” button on the top of the program to import the WAV file. (2) Or find the WAV file in your local hard drive, then directly drag and drop it to the program’s window. Press “Output Format” option of the program, choose “WMA” under “Audio” tab as the designated output format. You are also able to convert WAV to FLAC, ALAC or convert WMA to WAV, etc. based on your needs. You can see a “Yellow File Folder” icon at the bottom of the program, click it to select the output path of the converted file. After done, click “Run” to start to convert .wav to .wma. You are also able to do more settings of the audio file, such as cut audio, merge audio files, etc. 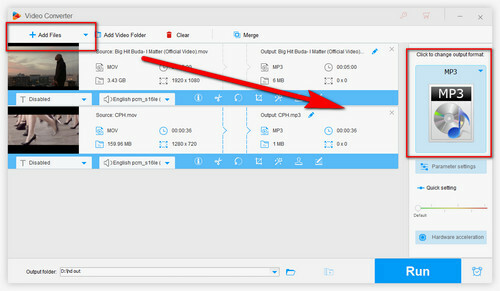 In addition, upgrading the free version to HD Video Converter Factory Pro can support to batch convert audio files, compress WAV files and quickly convert videos and audios with GPU acceleration! Audacity is a well-known digital audio editor which also allows to convert WAV files to WMA too. The official download address is https://www.audacityteam.org/. In order to successfully convert .wav to .wma, you still need to download and install a plug-in through visiting https://lame.buanzo.org/#lamewindl as well. Then follow the below steps to convert .wav to .wma. Step1: Run Audacity, directly drag the WAV files to the program’s window. Step2: Click “File” on the upper left side of the program > “Export” > “Export Multiple”. 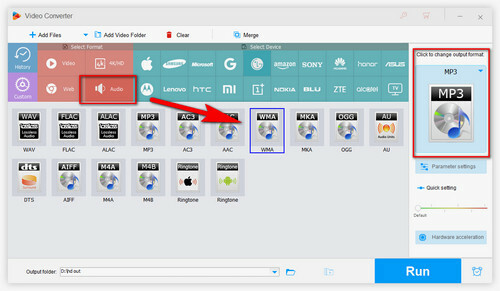 Step3: Customize the output path, select WMA as the targeted format under the drop-down list of “Format” box and then choose the audio bitrate, click “Export” button. Step4: Customize metadata tags if needed, and finally click “OK” to start converting .wav to .wma. Here provides 3 online WAV to WMA converters for people who don’t like using desktop programs to convert WAV file to WMA. 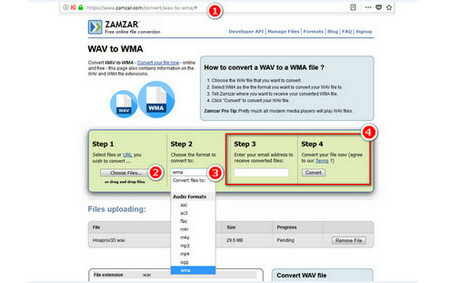 Step1: Visiting one of the above online converters, here uses https://www.zamzar.com/convert/wav-to-wma/ to demonstrate the specific operation steps. Step2: Clicking “Choose Files” button to upload your WAV file. Please pay attention that the upload WAV file can’t exceed the upload limit of 50MB. Step3: Choose the output format under the drop-down list of “Audio Formats” box. Step4: Enter your Email address so that the converted file can be successfully transferred to you. Finally click “Convert” button to start converting WAV File to WMA. If you prefer to convert your files with a safer and quicker way, choosing a reliable desktop audio converter to solve your issue may be better. If you like converting WAV to WMA without any software installation, then to choose online converters to help you. Anyway, you can make a choice based on your needs. HD Video Converter Factory Pro is a professional video and audio converter which supports to convert videos and audios in batches. With it, you are able to quickly convert your files with fast speed and good quality. It is also capable of downloading 4K, 1080P video from YouTube, Dailymotion, etc.